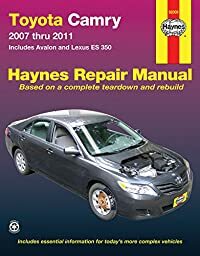 Publisher: Haynes Manuals N. America, Inc. — Regular tuneup maintenance procedures.. Step-by-step repair instructions with hundreds of photographs and diagram illustrations.. Tips and short cuts for easy repair jobs.. Spark plug color diagnosis.. Cautions and warnings for the home mechanic.. Troubleshooting section to help identify specific problems.. Engine repair.. Electrical systems.. Air conditioning system.. Cooling and heating.. Emissions control.. Ignition.. Fuel and exhaust.. Steering.. Suspension.. Brakes and so on..